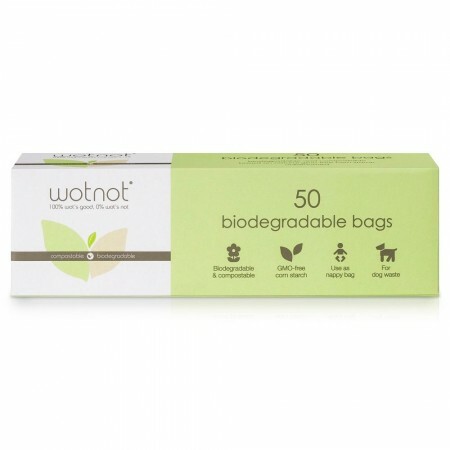 Wotnot nappy bags are 100% certified biodegradable and compostable, based on natural GM-free corn starch. 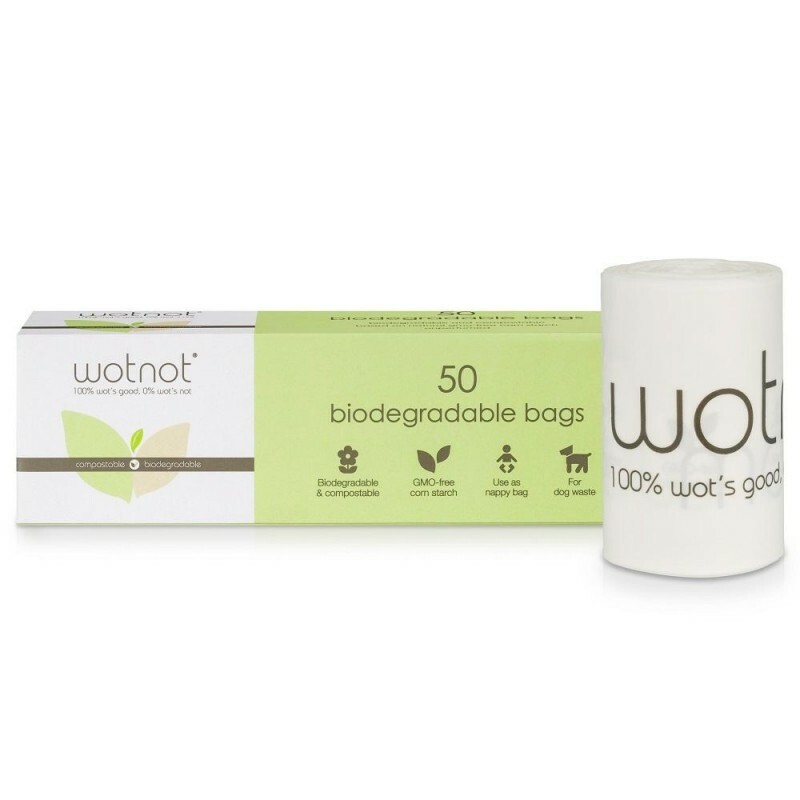 These bags are also good for organic waste, doggy waste, lunch bags. They come in a roll of 50 with easy tie handles to ensure no leakage. 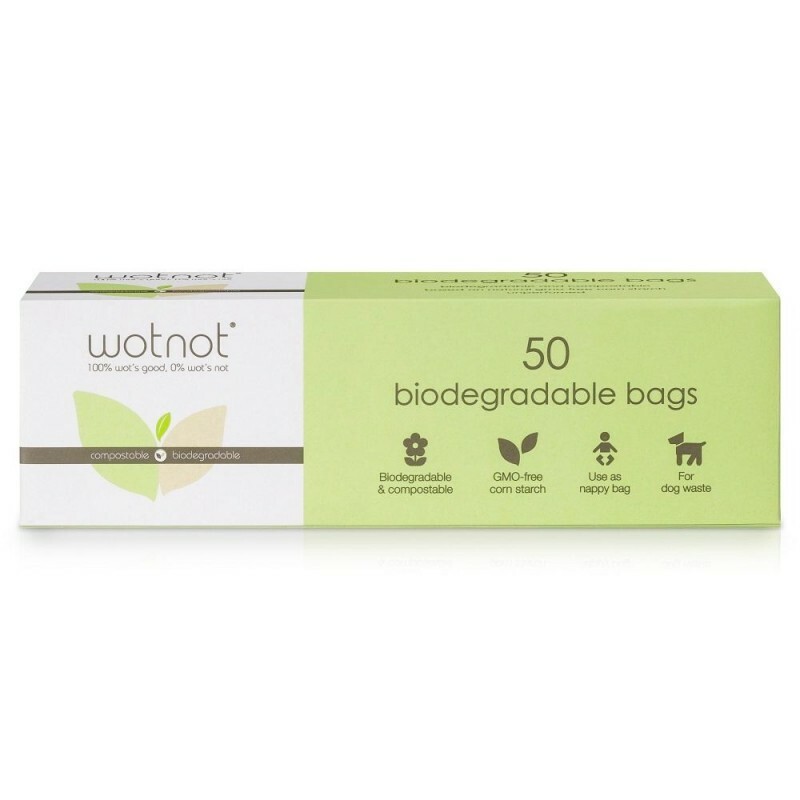 Wotnot nappy bags are 100% certified biodegradable and compostable, based on natural GM-free corn starch. These bags are also good for organic waste, doggy waste, lunch bags. They come in a roll of 50 with easy tie handles to ensure no leakage. These bags are perfect, big enough to fit multiple nappies in if needed and aren’t flimsy. Does the job and does not break even if full. Will buy these again! Wonderful that these don't add to unnecessary landfill. These are also a nice large size to contain any nappy, making them easy to use.